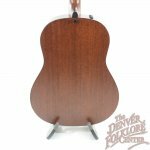 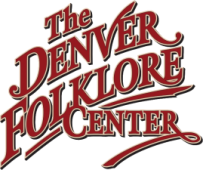 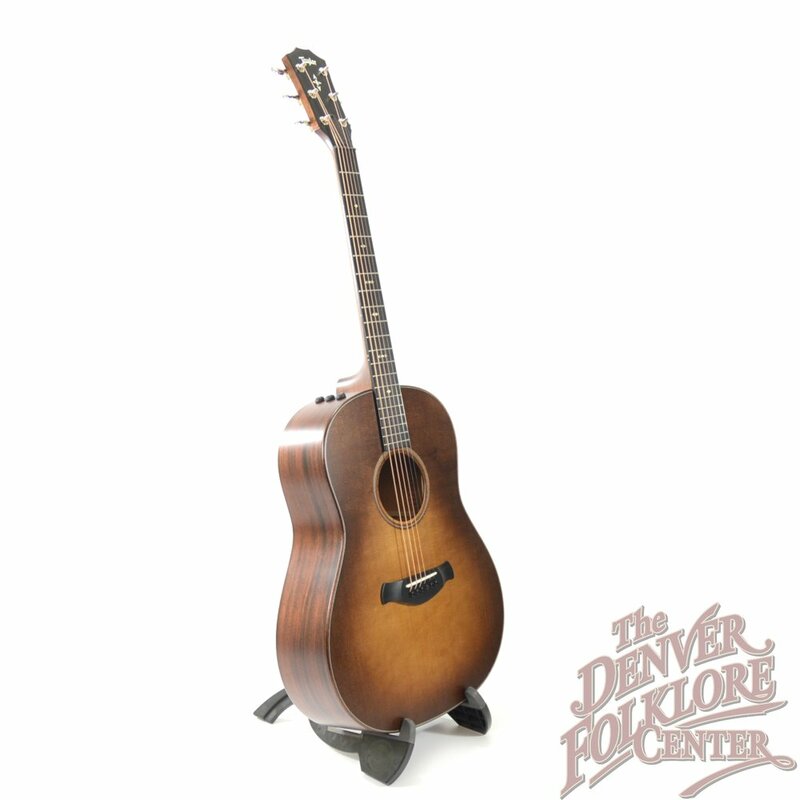 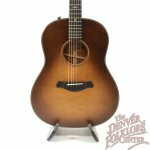 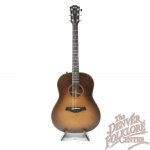 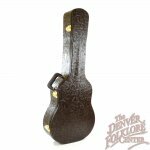 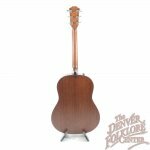 Taylor Grand Pacific slope shoulder dreadnought guitars have arrived at The Denver Folklore Center and we are honored to be one of the few dealers to offer this new Taylor 517e WHB Wild Honey Burst Guitar. 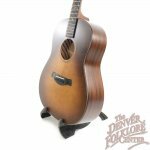 517e slope shoulder dreadnoughts are Taylor Guitars newest addition to the Taylor 500 series offerings and feature a torrefied solid Sitka Spruce top, solid Mahogany back and sides, and the patented Taylor V-Class bracing pattern. 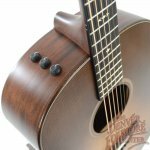 Being part of the Taylor Guitars Builders Edition family, this Taylor 517e features rounded off chamfered edges on all joining surfaces as well as on the fingerboard, a new compound-carve neck profile which is slightly v shaped in first position and rounded off as you move up the neck, the new rounded Curve Wing bridge shape, and is finished with Taylors Silent Satin finish with a beautiful Wild Honey Burst. 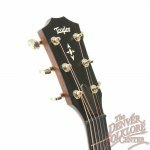 Tonally these instruments are a step in a different direction for Taylor Guitars and are voiced in a way that puts emphasis on well mixed notes and a tone that is suitable for bluegrass style flat-picking and chord strumming. 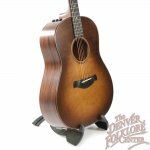 This 517e has the Taylor Expression System 2 built in for easy and clean sounding amplification, comes with the newly debuted Taylor Western Floral Hardshell Case, the manufacturers Limited Lifetime Warranty, and a guarantee of a perfect setup with the DFC Difference Setup Guarantee.